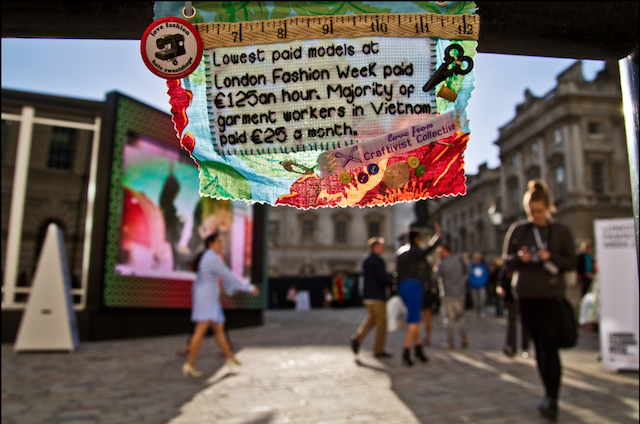 Stitch to show your support for the #LoveFashionHateSweatShops campaign, at The Make Escape. Details below. WALKS: The kind folks at Clerkenwell & Islington Guides Association are still offering free walks every Tuesday/Wednesday/Thursday. Check their website to see what you can join in with. Free, prebook. PAPER AND PONG: Take part in a ping-pong tournament (£5, just turn up, 6.30pm) or practise your game design skills at a free weekly game producing night (free, just turn up, 7.30pm), both at The Book Club in Shoreditch.